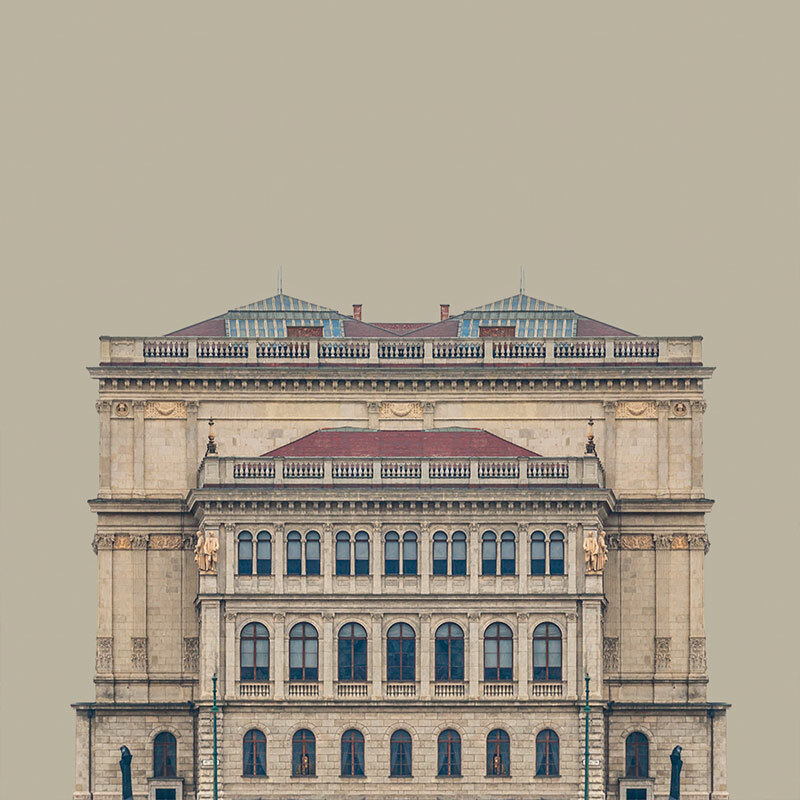 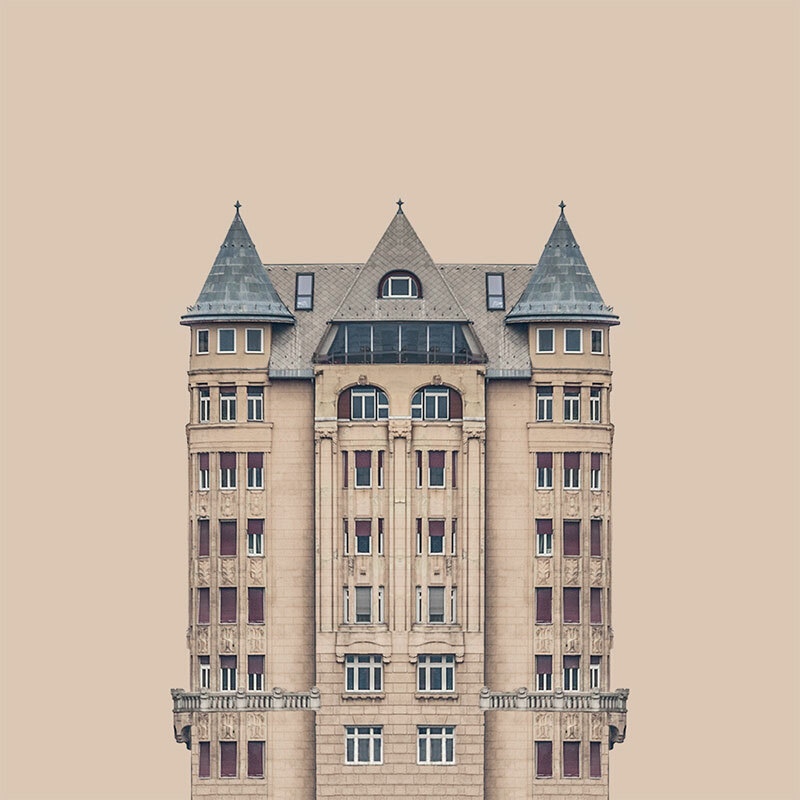 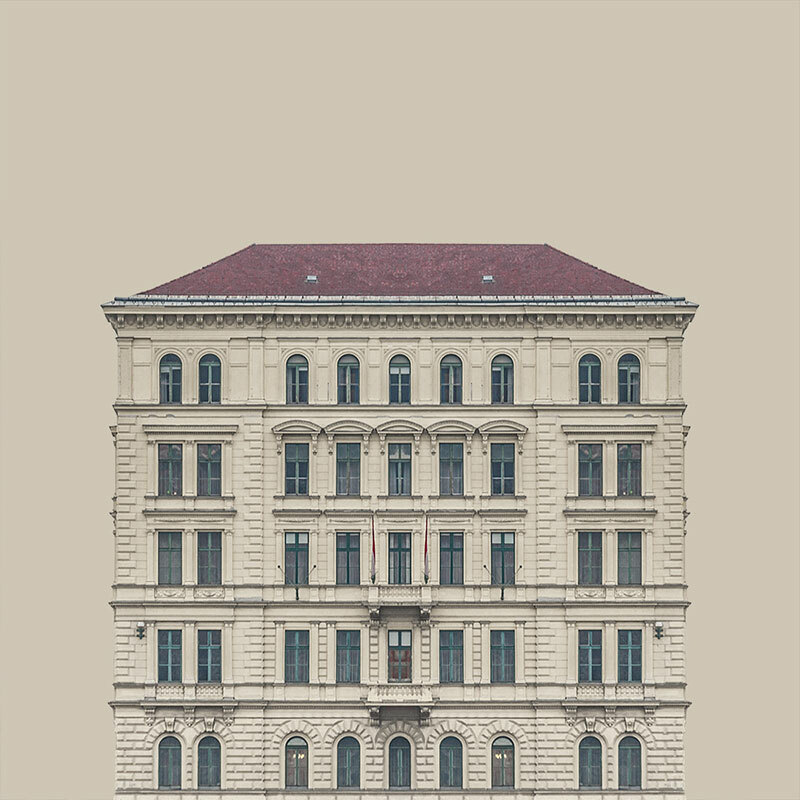 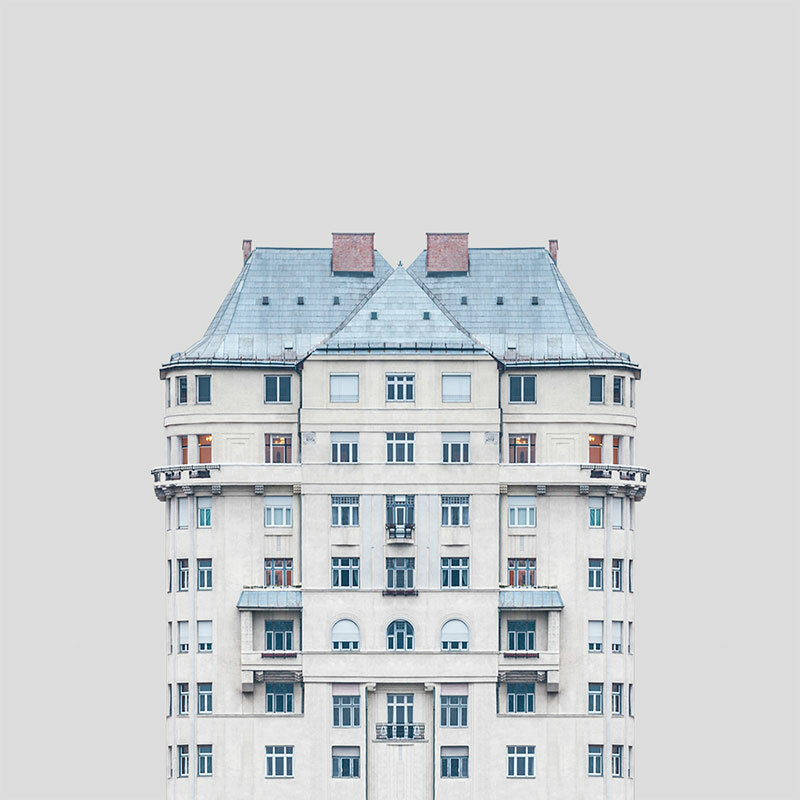 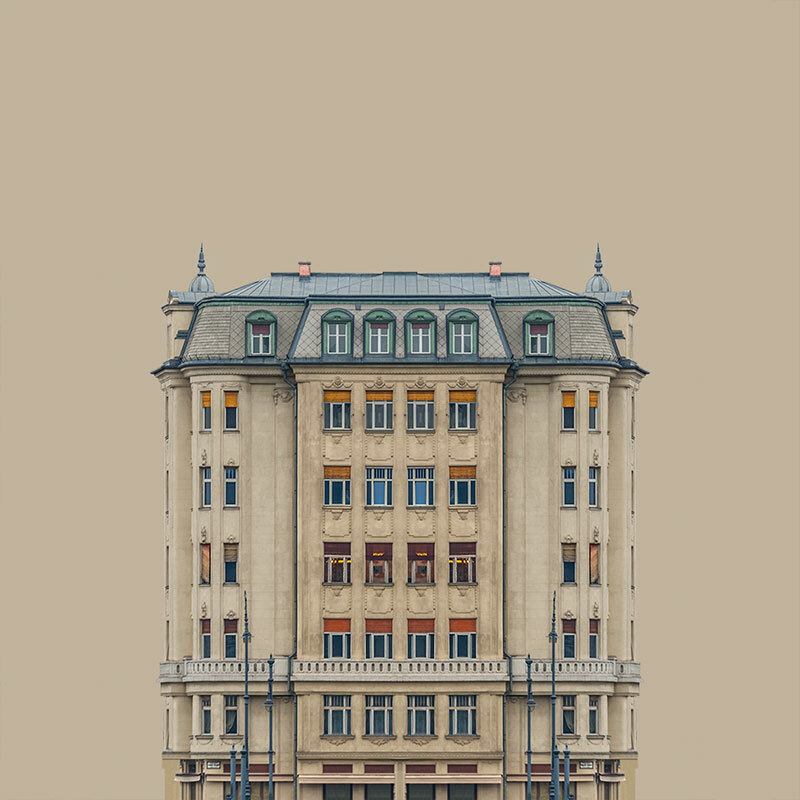 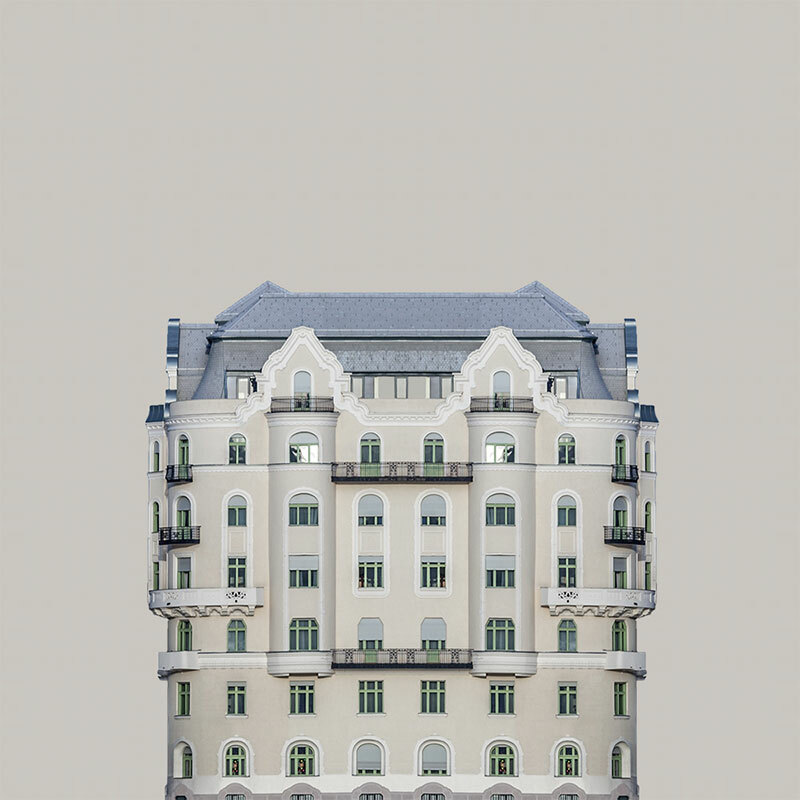 A series of symmetrical buildings on the banks of the River Danube by Budapest-based photographer Zsolt Hlinka. 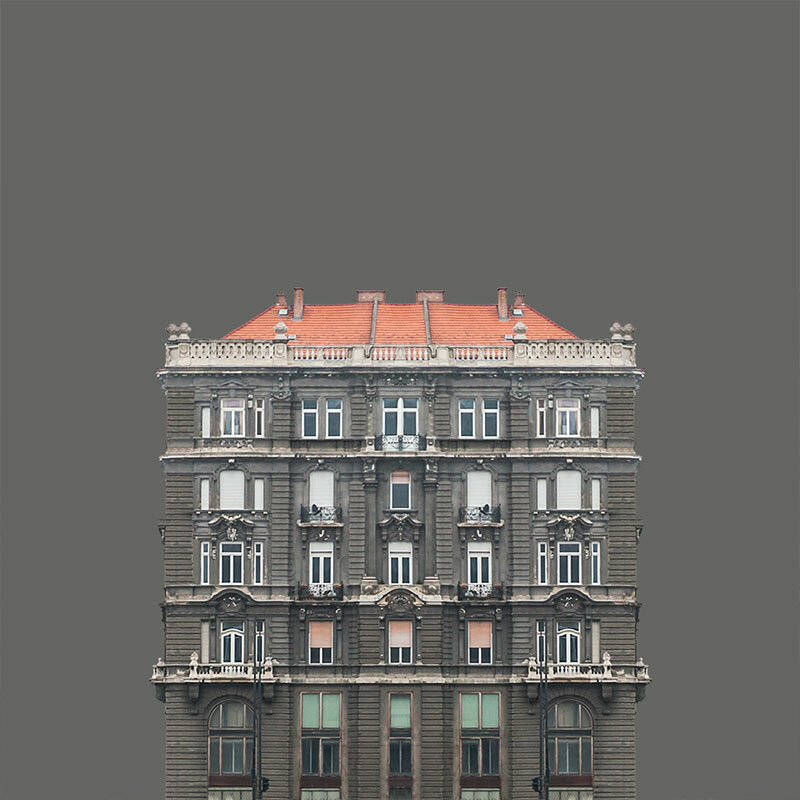 The images emphasize the uniform proportions of each structure by removing their surroundings and placing them in homogeneous, monochromatic backgrounds. 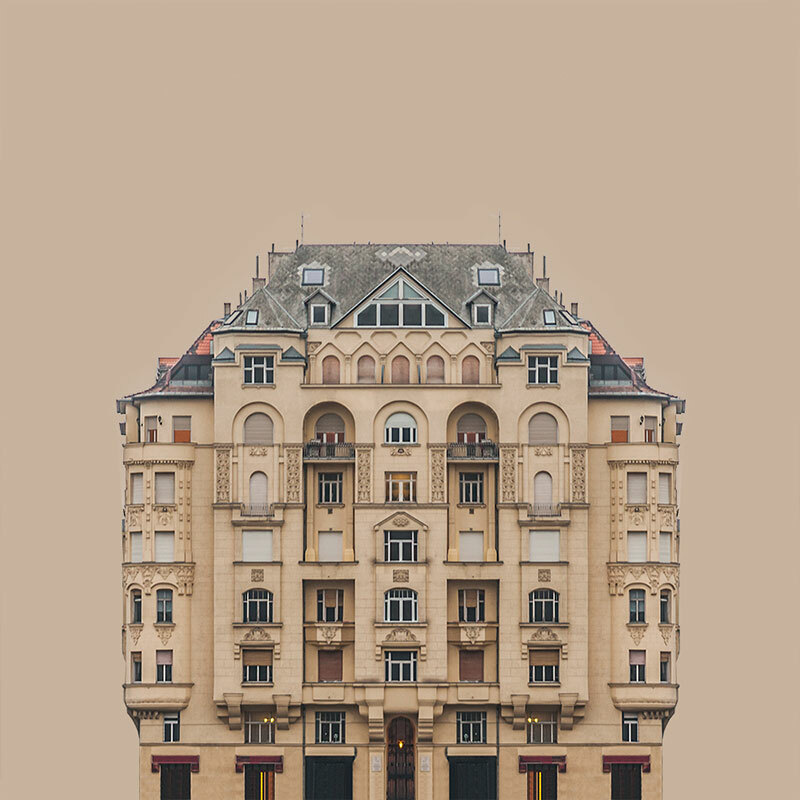 But according to Hlinka, the series is not a dry study of architectural forms because the buildings are fictional. 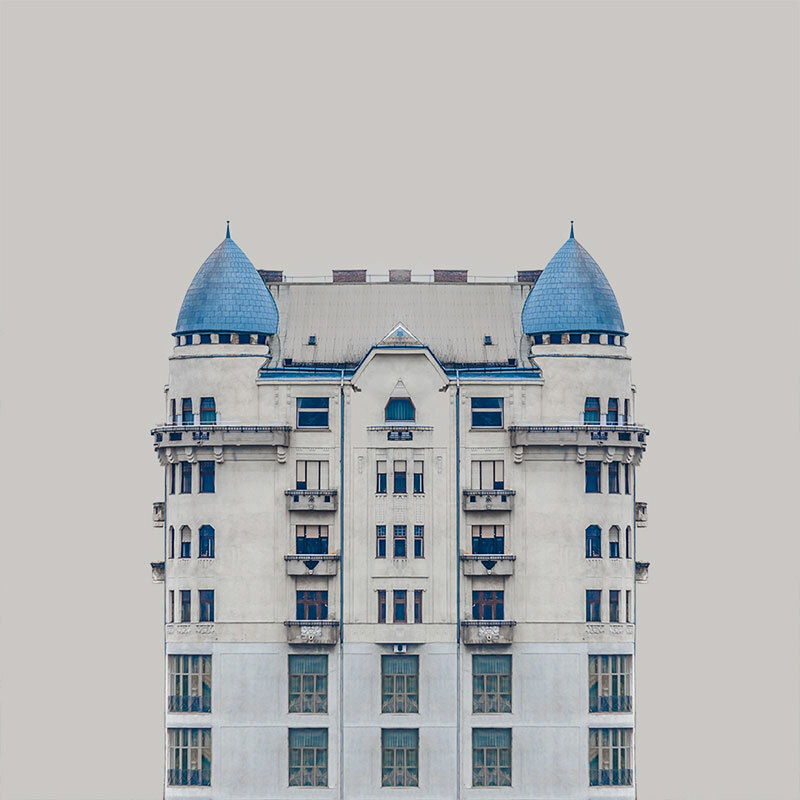 If you get a closer view of the photographs, you may discover that none of the pictures show the building in its full form, but only its reflected part. 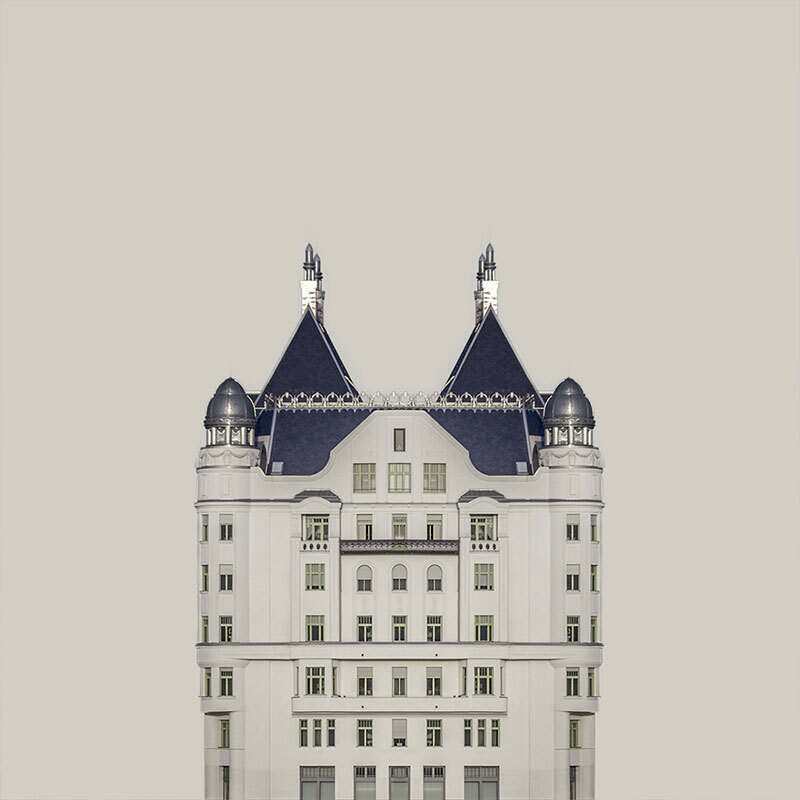 After all, these fictitious buildings coming into existence perfectly grab and condense their original character into themselves, as if you could see human faces and different personalities on the building portraits. 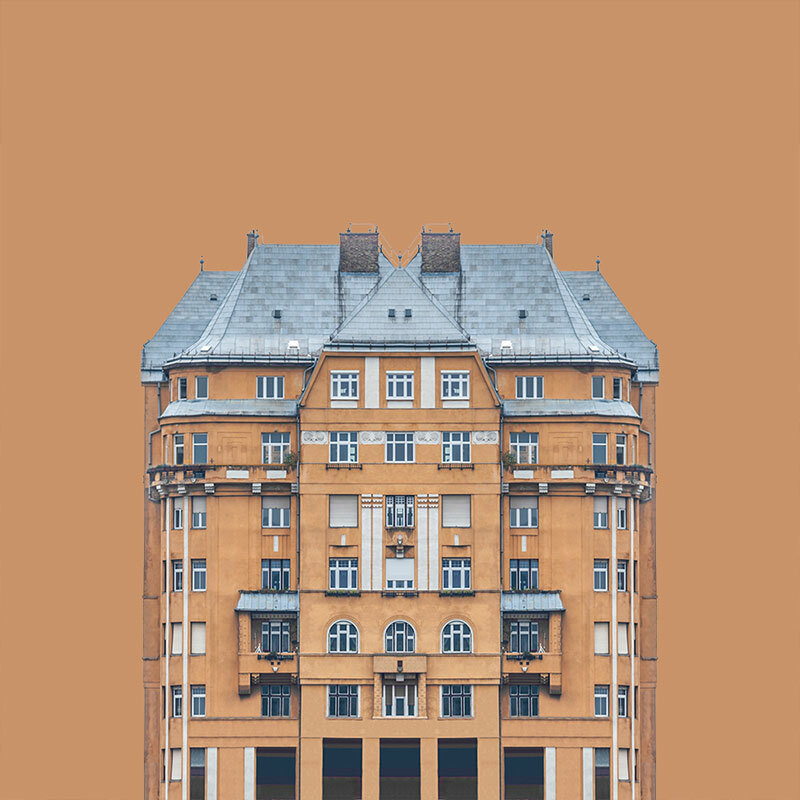 A series of symmetrical buildings on the banks of the River Danube by Budapest-based photographer Zsolt Hlinka.